Quoi de n'oeuf (Montréal) | eat. live. travel. write. Our last day in Montreal dawned bright and sunny – enfin! We headed out of the hotel around 10.30 in the direction of the Atwater Market. Of course we needed some sustenance since we would most likely not be eating until much later on back home in Toronto. I had searched out places to eat around the market and found this little gem: Quoi de n’oeuf. There was a small queue when we arrived and the place was packed from the time we arrived to the time we left. We only waited a couple of minutes though as the service is fast and friendly. Light and thin, these were perfect brunch fare, served with crispy potatoes and some fruit. Yes, that’s hollandaise sauce on top – a bit weird, I thought when I read it but it really worked. 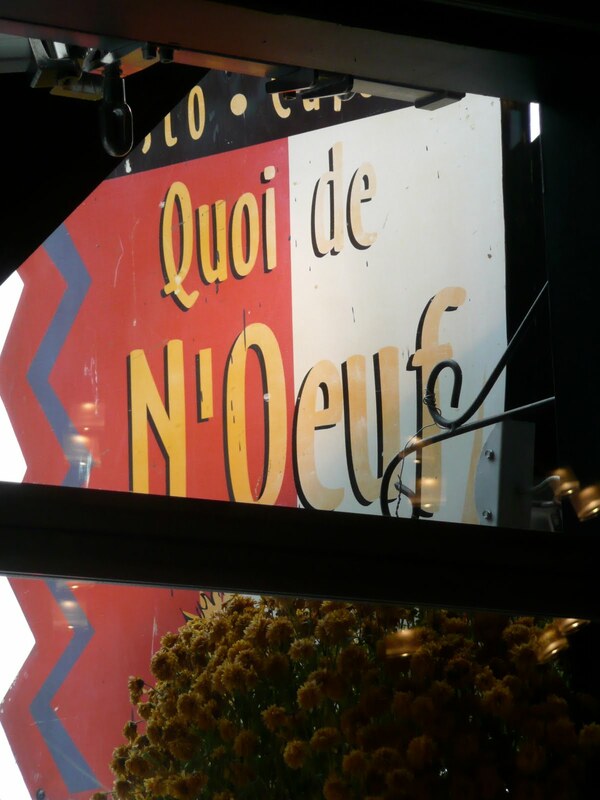 A pleasant, bustling little restaurant, I would totally recommend Quoi de n’oeuf to anyone as a pit stop before heading out to the market. Or before not eating for the entire rest of the day! Having said that, out serves were reasonably sized, though the fruit plate we saw a neighbouring table eating looked like the stuff of the gods, not just in selection but also proportion. Bon appétit! YUM! 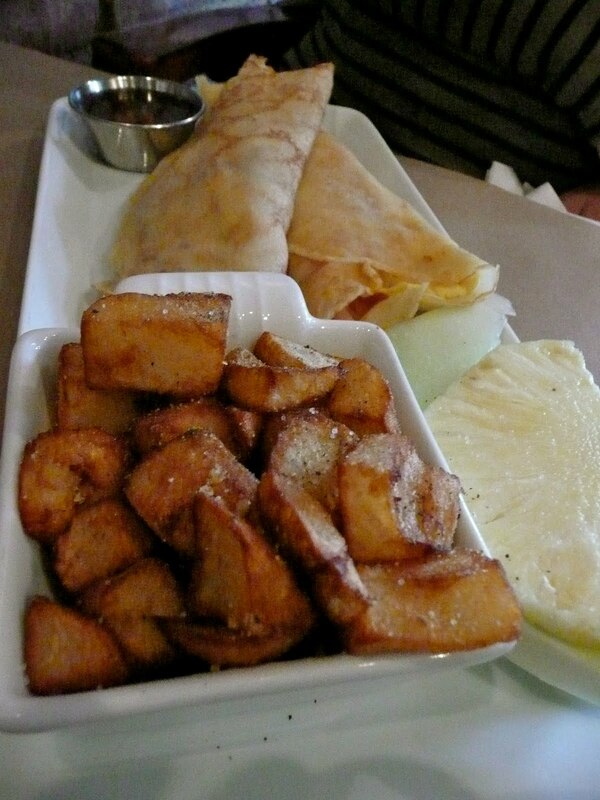 Those crepes and eggs look amazing!!! Wow! I live 10 minutes away from the Atwater Market and I've never been to Quoi n'oeuf. It looks delicious!!! Must try, soon. How were the prices? could so have used that breakfast a few hours ago- very nice! That all looks great, but I really think some baconchocolate crepes would have been perfection. Unplanned Cooking – me too and yes, me too! Ann – prices were good – like $10-15? Kablooey – LOL! We actually walked about 6km that day so we could have used some bacon chocolate! After my trip to Quebec, I'm want to go to Montreal soon!!! Jen – oh you definitely have to go to Montreal..
Leave a Reply to Chow and Chatter Click here to cancel reply.